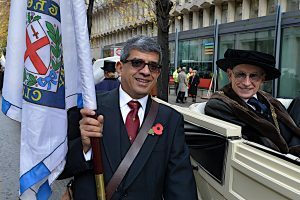 The City Livery Club was founded in 1914 and is privileged to count the Rt. Hon. The Lord Mayor as Patron, and HRH The Duke of Edinburgh and HRH The Princess Royal as Honorary Members. 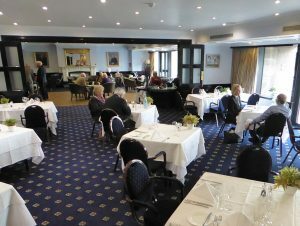 The Club offers a private daytime Club for Liverymen and members of related City organisations where they can meet, dine, and exchange views in comfortable premises overlooking the Thames. The Club premises are within easy walk of Bank, Mansion House and Cannon Street stations. The Club also provides a broad programme of events both formal and informal, with various interests represented by Sections for History & Antiques, Investments, Motoring, Music, Wine, Golf, Aeronautics, Photography, Under 40s and Women in the Livery. The City Face2Face events are informal discussions with City movers and shakers followed by a lunch. The Club has a number of reciprocal arrangements with other Clubs in the UK and abroad. On 27 March we went to Sadler’s Wells for the Northern Ballet’s superb production, “Victoria”, which had its world premier earlier in March in Leeds. “Victoria“ is choreographed by Cathy Marston to a score by Philip Feeny and its cast includes Abigail Prudames as Victoria and Joseph Taylor as Prince Albert. It tells the story of Queen Victoria’s life through the eyes of her youngest child, Beatrice, and was greatly enjoyed by the group of members attending. All Liverymen are welcome to book fish & chips lunch in the restaurant on Fridays. The next deadline for applications is 30 June 2019. For more information see the membership page. Restaurant bookings: members may reserve a table here (via the Little Ship Club’s website), or you can ring 020 7248 2800.